They came to us to create a website for their new business. The goal was to clearly present all 3 design offerings and provide examples of them so clients could understand what the company does, as well as feel comfortable that they have experience decorating other homes. We created a simple sitemap so that the user could land on the website and understand exactly what services Ellen provided, and see examples of them. We also provided directions so Ellen could easily update the galleries as more projects were completed. We designed a clean website that from the moment you land on it clearly shows the 3 areas of design Curated by Ellen provides. 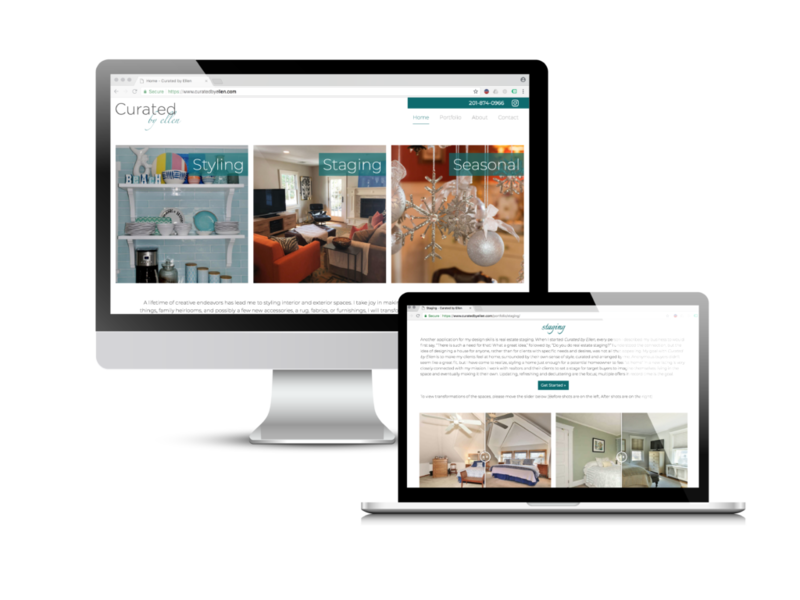 Delegating the daunting task of creating a website to Brianna and Nic of Crearé Web Solutions was the best decision I could have made to promote my interior styling business. I thought I could do it myself, that I had to control every bit of it, and that I couldn’t afford to outsource the job even if I wanted to. I was wrong. The process was easy, my site was up within a couple of months, and it is worth every penny. Investing in my business in this way made it all the more real, and pushed me forward through the challenges of getting things off the ground. The final product is professional, clean, and, most importantly, reflective of my brand. I appreciate that I am in control of updating the site going forward. I already have new photos to add! Thank you, Brianna and Nic! Curated by Ellen is up and running thanks to you!